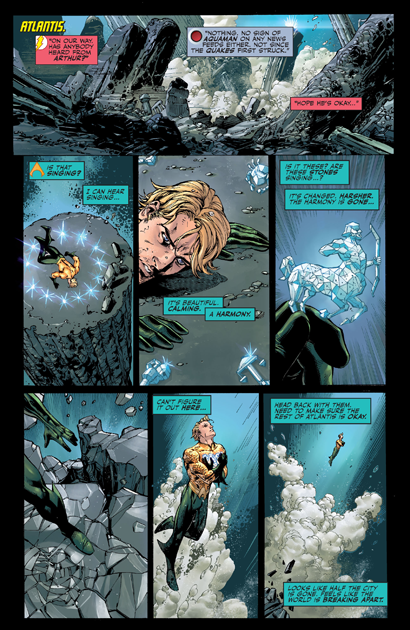 "The Extinction Machines Part 2" by Bryan Hitch, Tony S. Daniel, Sandu Florea, and Tomeu Morey. 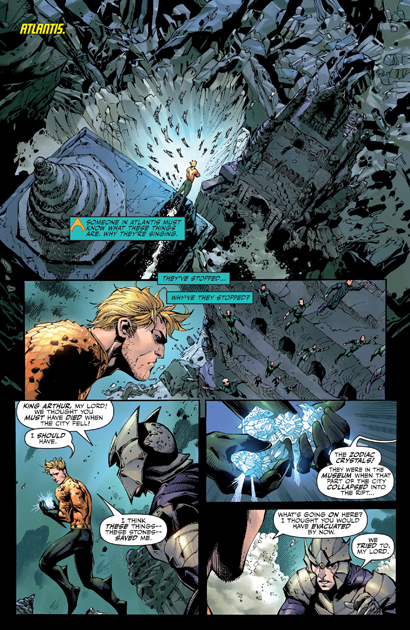 As some of the JLAers meet in The Watchtower, Aquaman finds himself waking up on the floor of the ocean. He finds a small collection of crystal statues that emit a calming harmony. He grabs them and takes off. Finally Batman gets Superman involved, and they hatch a plan: to head to the center of the Earth! To be continued...tomorrow! 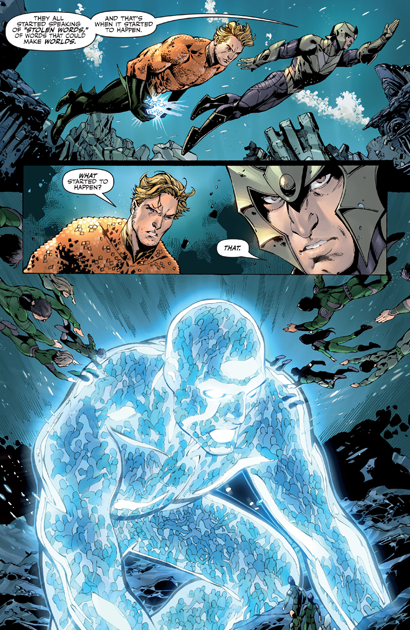 Aquaman gets a but more to do this issue, but he's still swimming solo while the rest of the team gets together. 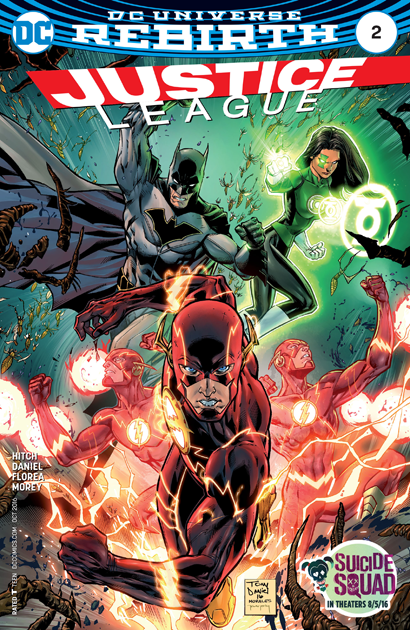 Let's see if he actually gets to hang with the gang in issue three.